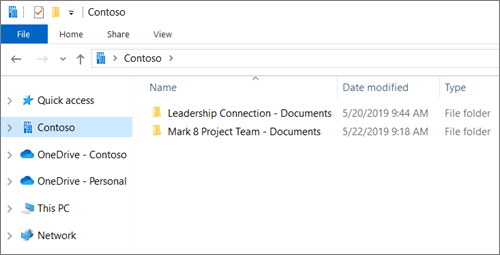 If your organization has an Office 365 business subscription or uses SharePoint Server 2019, you can sync your SharePoint files to a folder on your computer where you can work directly in File Explorer and access the files even when you're offline. Whenever you're online, any changes that you or others make will sync automatically. Note: For information about syncing files on macOS, see Sync files with the OneDrive sync client on Mac OS X. On the Office 365 app launcher, select SharePoint, and then select the site with the files you want to sync. Important: If you see a screen that says "Which library do you want to sync? ", your site hasn't been set up to sync with the OneDrive desktop app. If you're the IT admin for your organization, see Let users sync SharePoint files with the new OneDrive sync client. If you're not the IT admin, and your screens don't look like the ones in this article, see Sync SharePoint files with the OneDrive for Business sync client (Groove.exe) or contact your IT department. 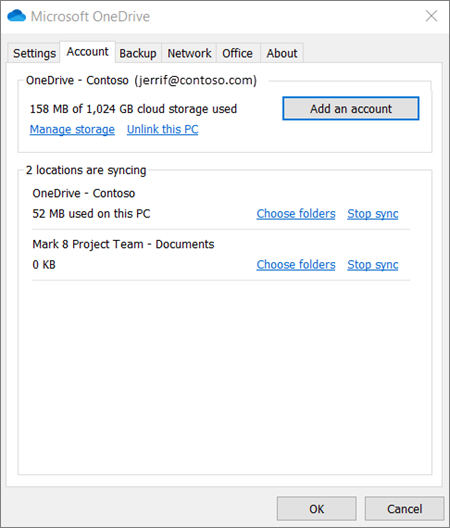 You can now sync IRM-protected SharePoint and OneDrive files in your work or school account. If you’re currently syncing an IRM-protected location using the Transition from the previous OneDrive for Business sync client, stop syncing it with that sync client first. Then, install the Rights Management Service (RMS) client. 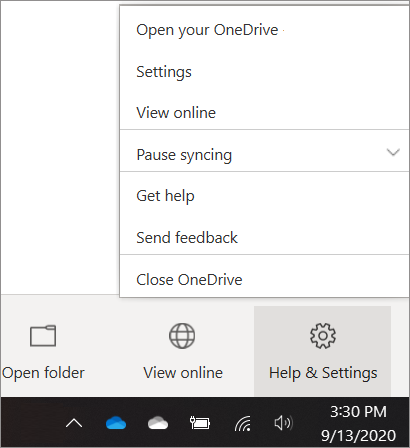 When that finishes, open the SharePoint location or OneDrive in your browser and click "Sync" to begin syncing it with the OneDrive desktop app. You can't move OneNote notebooks from one site to another on your computer, and if you move other Office files between sites, version history will be lost. To move Office files, go to the site and use the Move to or Copy to command. If you used the previous OneDrive for Business sync client, the folder structure for your synced folders might change when you begin syncing with the OneDrive desktop app. 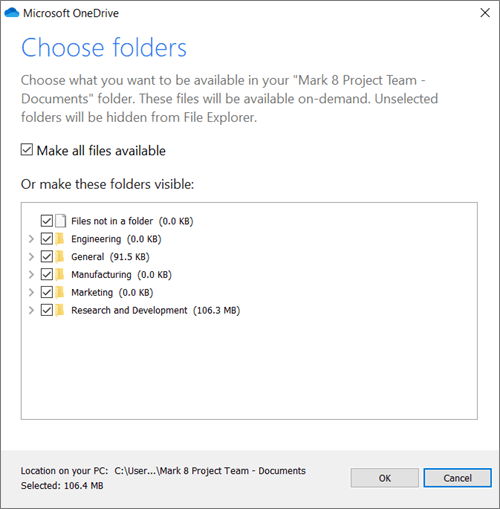 On Windows 7 computers where you used the previous OneDrive for Business sync client, you might still see an old "SharePoint" folder under Favorites in File Explorer. You can remove the extra "SharePoint" favorite by right-clicking it and selecting Remove. Click the Account tab to see a list of all your syncing sites.